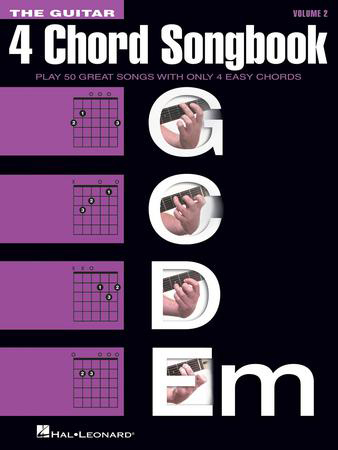 Impress yourself and your friends by playing this second volume of fifty more great songs with only four chords! Songs include: Body like a Back Road (Sam Hunt); Closer (The Chainsmokers feat. Halsey); Despacito (Luis Fonsi & Daddy Yankee); Eve of Destruction (Barry McGuire); Ho Hey (The Lumineers); Iris (Goo Goo Dolls); Jessie's Girl (Rick Springfield); Like a Prayer (Madonna); Mean (Taylor Swift); No Woman No Cry (Bob Marley); Perfect (Ed Sheeran); Rude (MAGIC! ); She Will Be Loved (Maroon5); Toes (Zac Brown Band); Viva La Vida (Coldplay); Where Is the Love (The Black Eyed Peas) and more! Shattered (Turn the Car Around) by O.A.R.